Power Plant Equipments need to deliver on Performance, Up-time and Cost-effectiveness in a globally competitive market place. 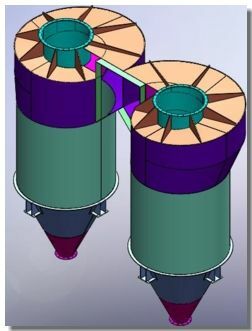 While conventional standards and codes provide for arriving at basic engineering design, SolidWorks Simulation empowers Design Engineers to validate their designs, intrinsically, at every step of the design process enabling the Team to deliver on Equipment Performance, Life and Cost parameters. Is Your Plant Design Efficient? Is my runtime cost low and Per Unit Cost of Electricity low? How many years of warranty can you give? How competitive are you in terms of Cost compared to equipments imported from the Orient? How do you guarantee that the plant will deliver on efficiency and cost-per-unit-of-electricity goals? All of the above have a common denominator - Design. If the design has adequate material usage, delivers on performance consistantly, enhances life, reduces design engineering time then sustainable, profitable and enduring operations are guaranteed for the least investment cost. With over 85% of a Plant Cost dictated by Design, Validation becomes a pre-requisite to deliver on customer requirements. 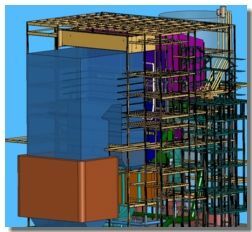 SolidWorks Simulation, time and again, delivers on these goals ensuring the total cost of ownership for the Power Plant Integrator remains low while delivering on Value. 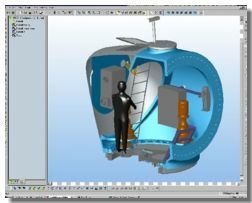 Backed by years of technical expertise from EGS India, customers are assured of a return on investment by integrating the CAE process thro' SolidWorks Simulation.